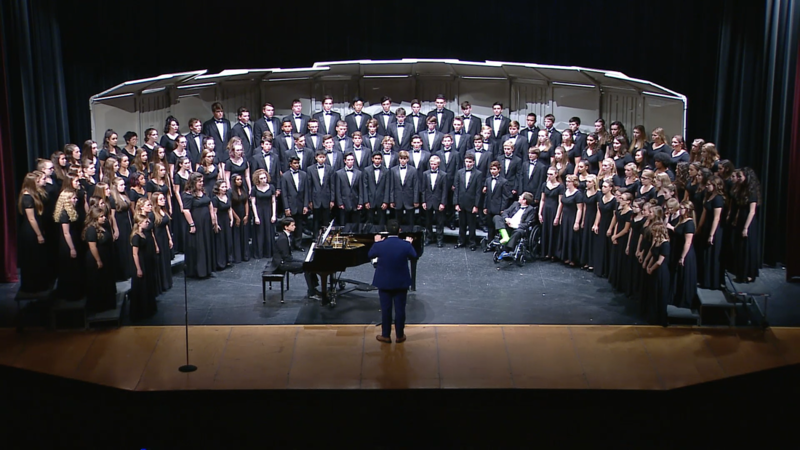 The HHS Concert Choir is a non-auditioned SATB ensemble made exclusively out of students at Hudson High School in grades 9-12. 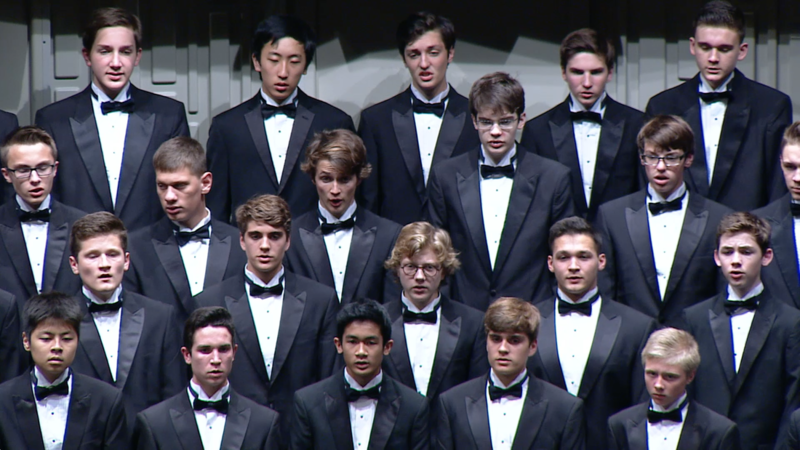 This choir is meant for students of all ages to get experience in singing with all four voice parts; soprano, alto, tenor, & bass, and a time when upper and lower classmen can work together through classic repertoire meant to let young singers succeed. 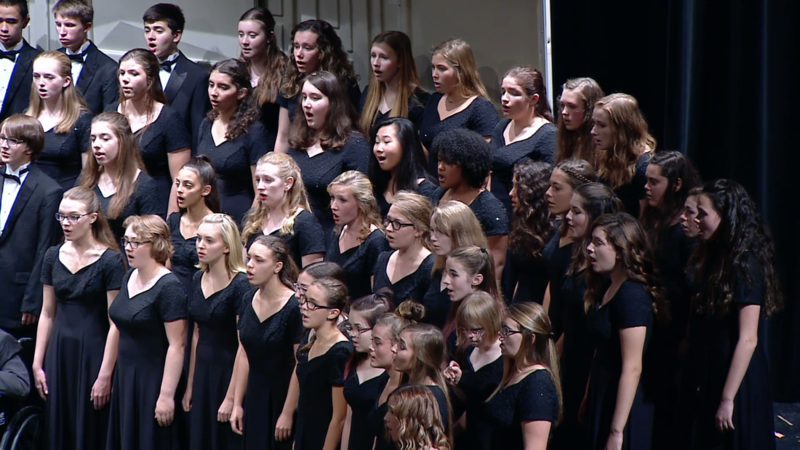 Students should expect to sing in a variety of languages, such as; English, German, Latin, etc. Solfege is an integral tool that will be used extensively to teach students how to read music. Students will be expected to have a basic understanding of solfege throughout the course of the year.